Click on Show Me Photo to see photos of the instrument listed. 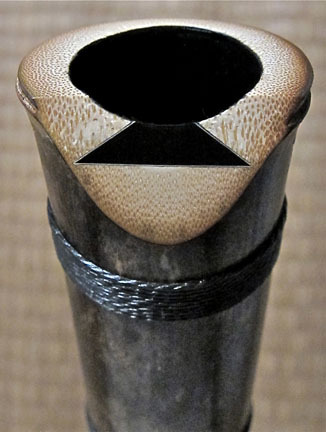 See Photo Gallery of Meditation Shakuhachi made and sold over the years. All shakuhachi with Optional Binding applied qualify for the Lifetime Guarantee. ON HOLD in your name with payment of a deposit. This listing will be updated regularly as new instruments are available. These are just some of the shakuhachi presently on hand. For information on ordering a custom made Meditation, Student, Advanced Student or Professional Jiari & Jinashi Root-End models click here.